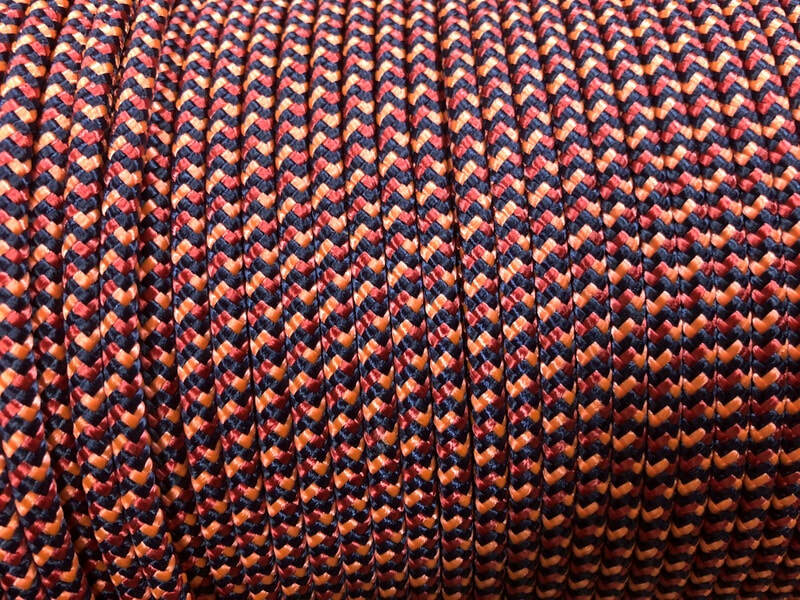 Our drum rope is made in the USA to Shorty's specs. It is polyester with a polyester core. We have 20 colors and Black. Black comes in 3/16th, 4mm, and 5mm. 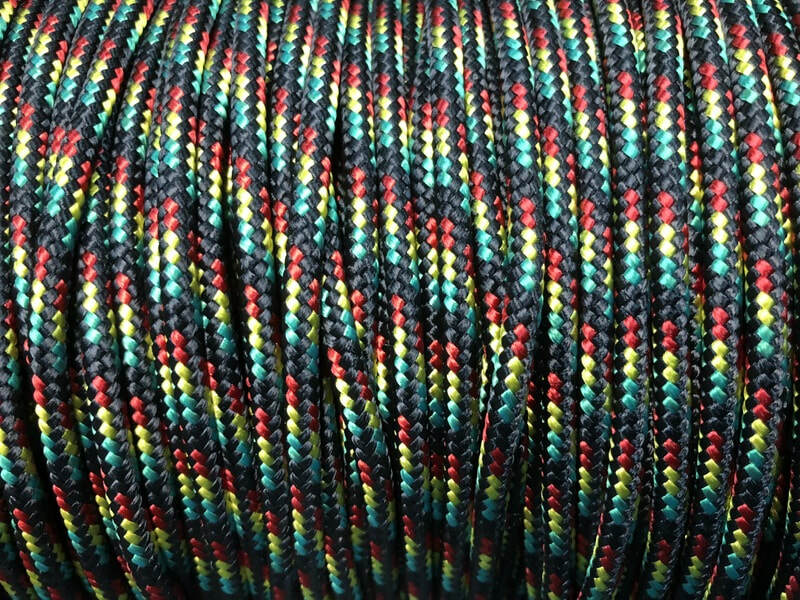 Red, Yellow, Green and Blue come in 3/16th and 4mm. Sunset comes in 5mm. You can choose from any of 20 colors to create your color combination. The cost will depend on the rope you choose. All orders are custom and must be called in. 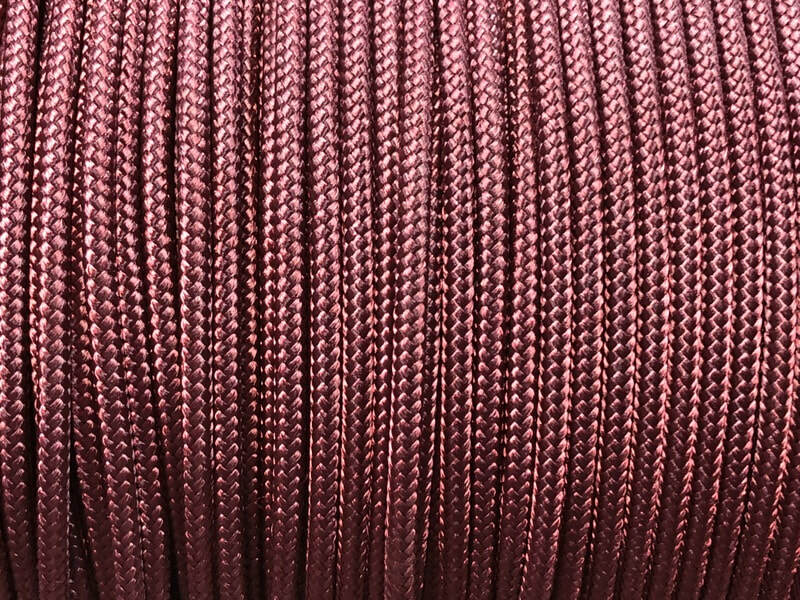 There is a minimum order of two spools. 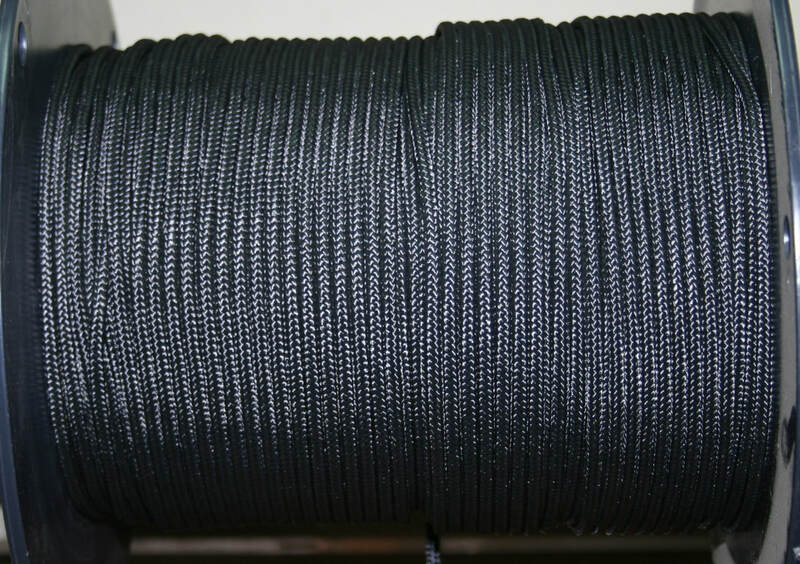 how much rope you will need. Rings! Do you need rings? Click Here!